From the first nail to the last light, we have everything you need to complete your home improvement project. Whether you are a contractor or a do-it-your-selfer, our experienced staff can help you through any size project. Enjoy some HOT deals this month! Download our monthly flyer. Like to shop online? Take a look at the Blish-Mize online catalog. Shop by category or keyword. We place a Blish-Mize order every Tuesday for a Thursday delivery. So if you see an item you want, call or email it into us by Tuesday at closing and you can pick up your item at the store on Thursday afternoon. 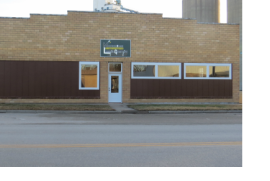 Located in beautiful downtown Moundridge KS. 1 block west of the four way stop in the center of the city. Garden Season is beginning! Come shop at the Moundridge Lumber Garden Center for you gardening needs! We open at 7:30 Monday through Friday. We will be closing at 5 pm. Hours on Saturday will be 8:00am-12:00pm. Fresh Bulk Garden seed has arrived. Seed Potatoes will be here, including Kennebec, Cobbler/Dakota Pearl, Yukon Gold, Crimson Gold, Red Pontiac, Red Viking, Red Norland, Burbank Russet and Purple Majesty Blue Potatoes. Onions include Red Candy, Copra, White Businessman, Walla Walla, Vidalia, Texas Sweet 100. The vegetable plants and flowers are here and looking beautiful!